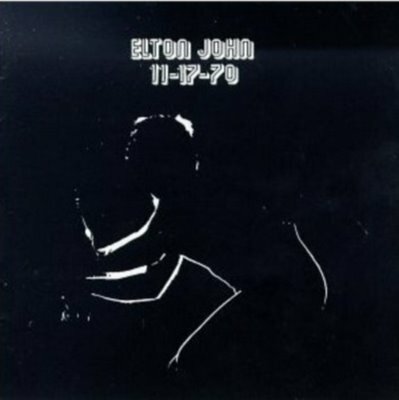 In Setptember of 1970, Elton performed a week long set of venues at the famed Troubadour Club in Los Angeles. Many rock historians now consider that series of concerts to be one of the most important events in rock and roll history. Still a relative unknown, Elton took over the United States with a vengeance. The word was definitely out. A few months later on the opposite coast, Elton played for a live broadcast out of New York City with a small studio audience of about 100 people. Fortunately, we now have a record of all the excitement and hysteria that was sweeping the country at that time. What this album lacks in finesse it makes up for in energy. The "Elton John Band" consisted of himself, Dee Murray on Bass and Nigel Olsson on Drums. Possibly the only live rock album ever that didn't feature (or really need) a lead guitar. Only 23 at the time, musically he was in top form in terms of energy. At this point, his records were still pretty mellow and audiences probably weren't prepared for what was in store for them. This is probably the hardest rocking release in his catalog. The songs Bad Side of the Moon, Can I Put You On and Take Me to the Pilot are a great deal of fun to listen to at a slightly more up tempo pace than the originals. Sixty Years On deserves mention since it varies so much from its studio counterpart (which featured a full orchestra). Also featured are covers by The Rolling Stones (Honky Tonk Woman), The Beatles (Get Back) and Elvis (My Baby Left Me). It's a great deal of fun to hear the enthusiastic small audience go bonkers during the set and one has to wonder if many knew exactly what they were actually about to hear. Casual fans might be turned off because of the low key production but it's definitely worth a listen. It would be nice if someone would invent a time machine ao we could go back and experience firsthand this magic.